The Stuck On Ewe sheep push pin holder is cool because it is so adorable. It is useful for holding push pins and also adds a quirky touch to any office or crafty area. Any person who likes cool and quirky items is sure to like this. This a wonderful idea if you want to create an atmosphere in your office that is playful and fun. Use it in your home office or at work. A very cool gift idea if you are looking for something that is unique, inexpensive and fun. Any lover of fun items or animals is sure to adore it. 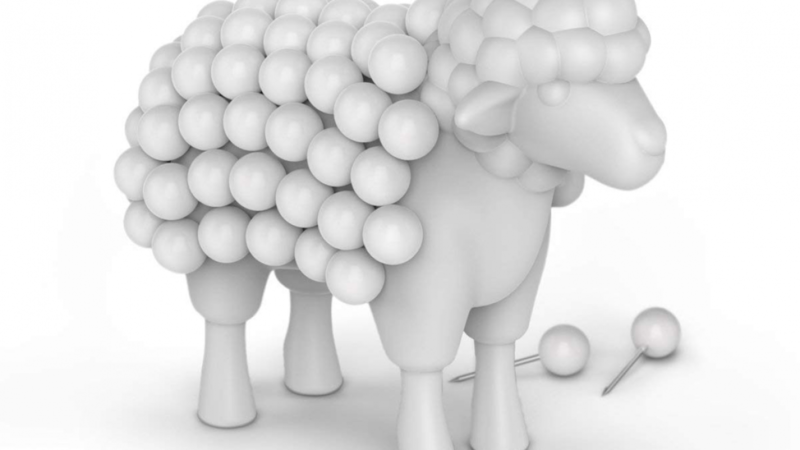 The sheep is made of non toxic materials that are PVC free. There are 75 push pins included so you are sure to have enough to meet your needs. 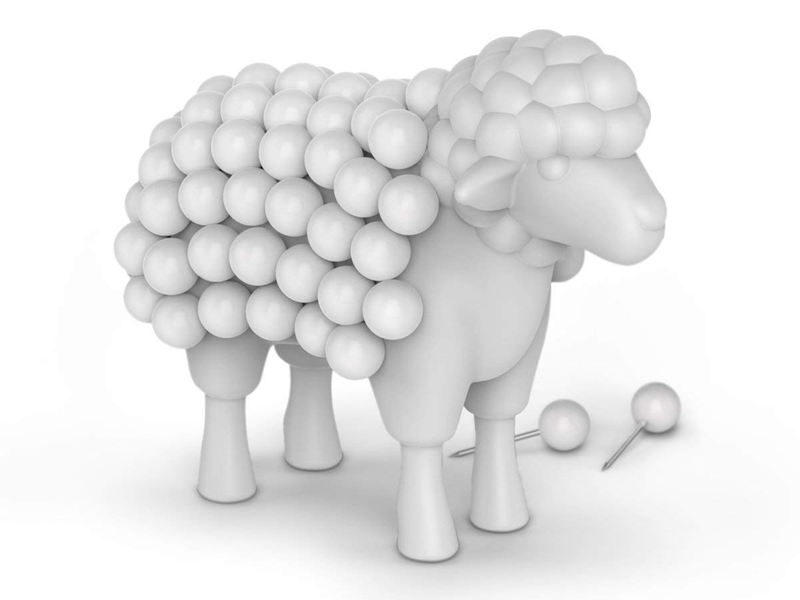 You can experiment by purchasing push pins that are not white in order to create fun and colorful sheep. When the pins are pushed on the Stuck On Ewe holder they form the wool of the sheep. If you love novelty stationery items and already own several then this will be a cool addition to your collection. Stand the little sheep somewhere close to your pin board and it will be ready to assist you at any time. If you love quirky and fun items you may like to check out the following. Sweep Your Desk into Shape With Mini Henry!